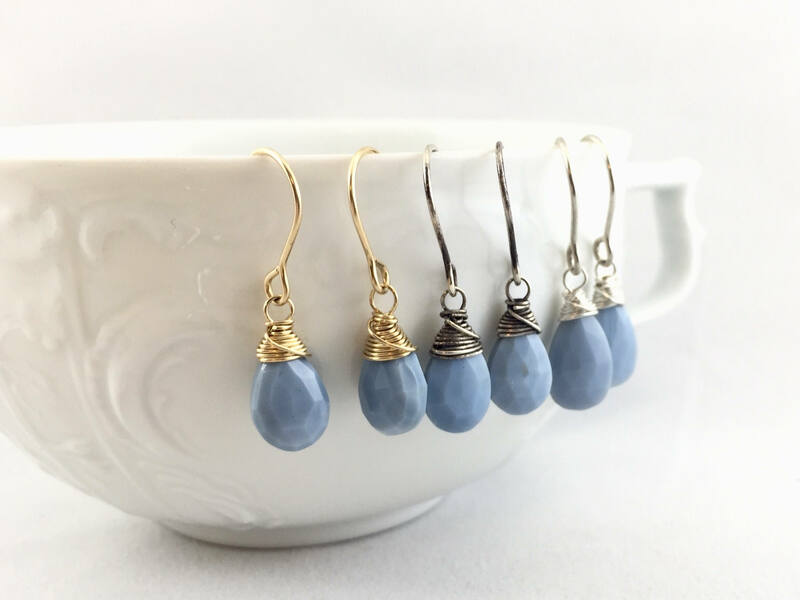 This opal is a very beautiful baby blue color. Soft and rich, the powdery, muted blue goes with every outfit, like blue jeans do. There is no other gemstone with anything like this color. 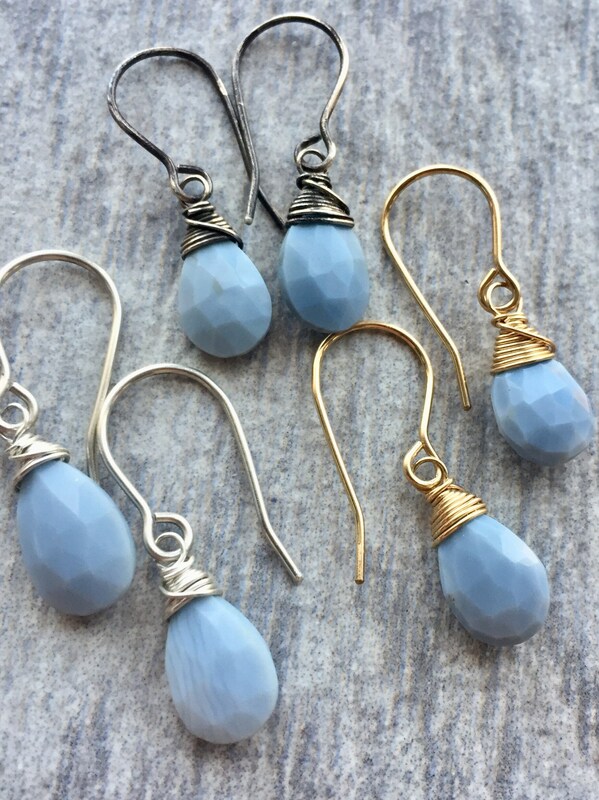 Blue peruvian opal, unlike precious opal, does not show play of light. 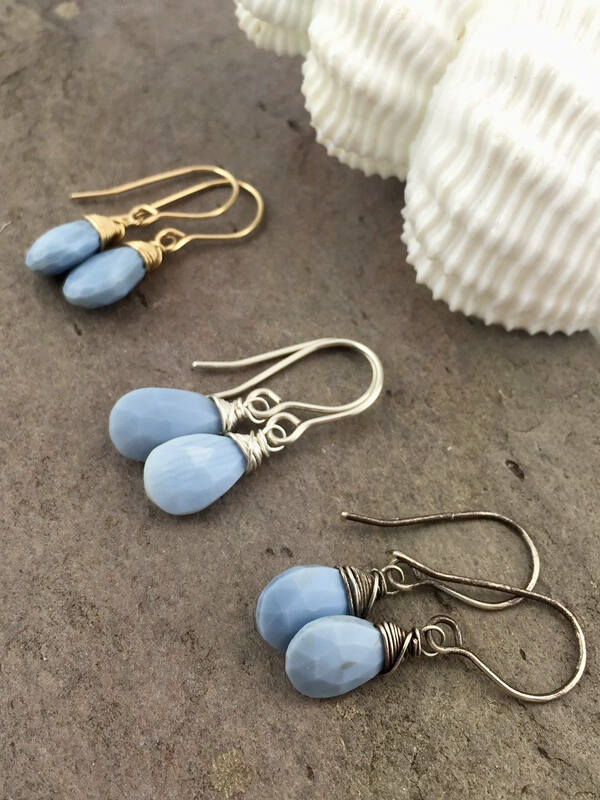 These opal drops are handmade by meticulously wrapping the high-quality natural gemstone with ether sterling silver or 14k gold fill wire. 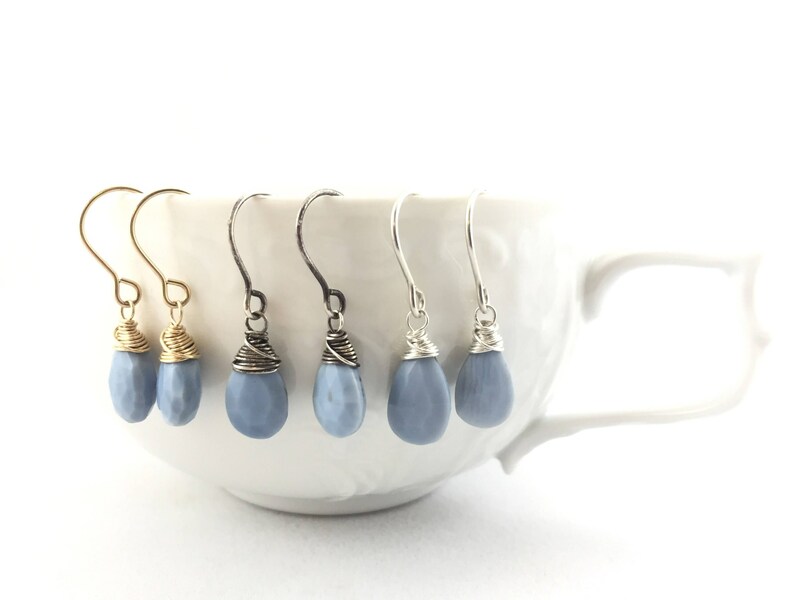 All wire elements are hand-shaped, including the ear hooks. 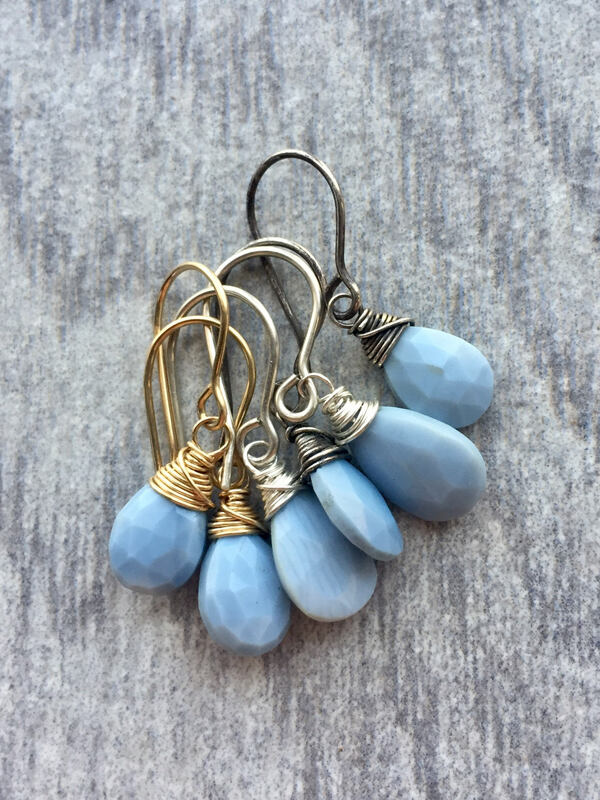 • These earrings are approximately 1.25" long. 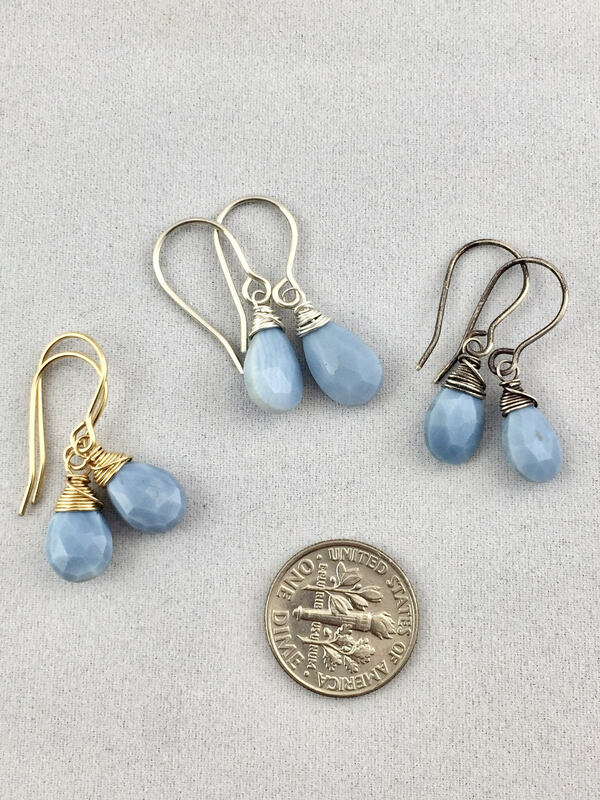 • The opal drops are approximately 8 x 12mm. 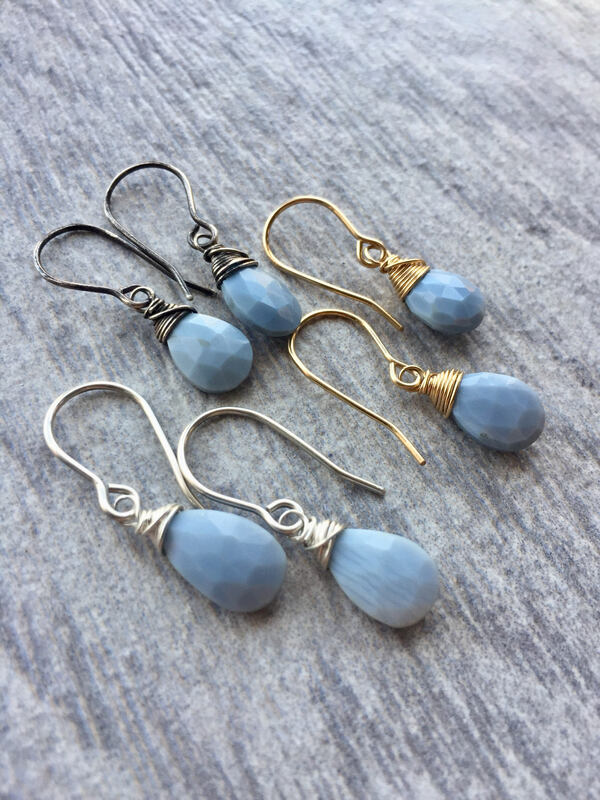 • You can choose between sterling silver, oxidized silver, or 14k gold fill at checkout. 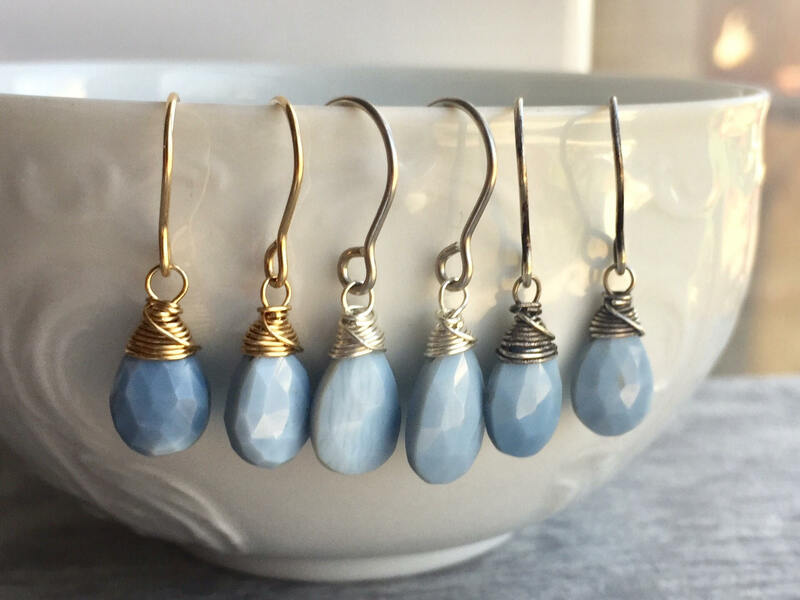 • If you would prefer kidney hooks instead of regular ear hooks, please leave me a note at checkout. 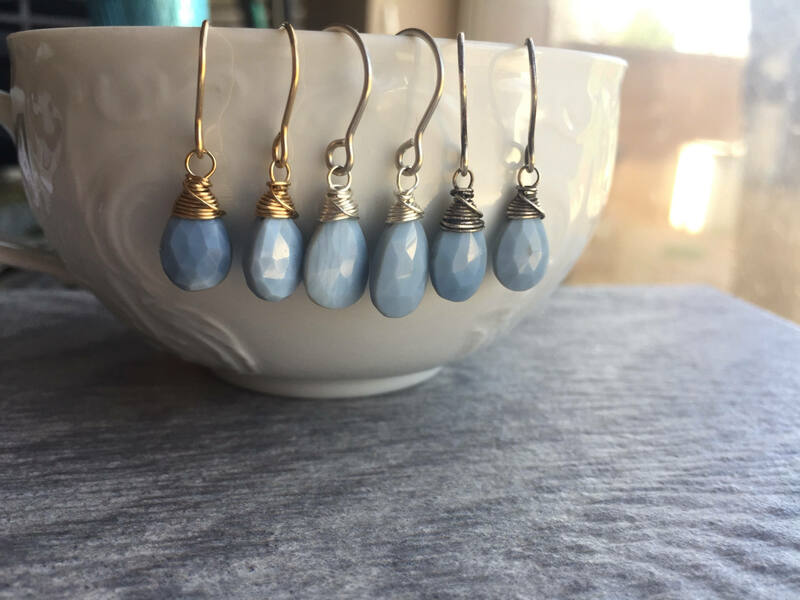 • These earrings are made to order. Please expect minor differences due to the nature of handcrafting and the individuality of the gemstones. The stones speak for themselves in the Luxe Gemstone Collection. Displayed in cascades, clusters, single drops, or other unique styles, these gemstones showcase the breathtaking brilliance of the earth’s natural beauty. My daughter was happy with these lovely earrings.